Schizophrenia is a disabling brain disorder characterized by the inability to tell reality from imagination, according to the National Institutes of Health (NIH). Symptoms are broken down into two types called “positive symptoms,” which include hallucinations and delusions, and “negative symptoms” which include social withdrawal, apathy, and a lack of emotional expressiveness. While drugs have been found to help many with the positive type of symptoms, too often there’s no help for the negative variety – until now. A new study has found that taking dietary supplements folate and vitamin B12 can alleviate these symptoms in some patients. 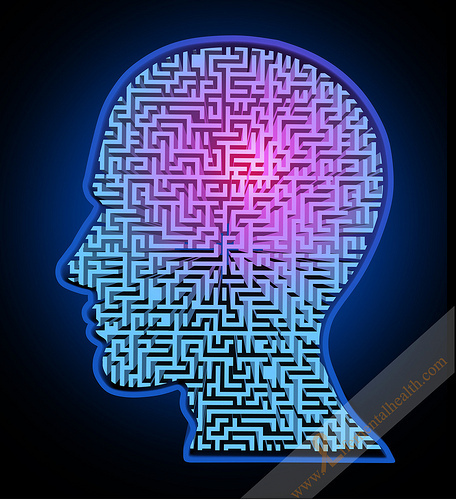 In a new placebo-controlled study of 140 patients with schizophrenia, a research team based at Massachusetts General Hospital (MGH) found improvement across all participants when folate and B12 were added to their regular treatments. But the results were most significant in those carrying specific variants in genes involved with folate metabolism. The report has just been published in JAMA Psychiatry (formerly Archives of General Psychiatry) online. It’s the first study designed specifically to investigate whether supplementation with folate and B12 (which increases the effects of folate) can treat the symptoms of schizophrenia. “The symptoms of schizophrenia are complex, and antipsychotic medications provide no relief for some of the most disabling parts of the illness. These include negative symptoms, which can be particularly devastating,” Joshua Roffman, MD, MMSc, of the MGH Department of Psychiatry, corresponding author of the JAMA Psychiatry paper, said in a media statement. So why would the essential nutrient folate (often found in supplements in the folic acid form) have a positive impact on the devastating condition known as schizophrenia? In their paper, the researchers note that folate is necessary for the synthesis of DNA and neurotransmitters and it plays a role in the control of gene expression. Previous studies have linked folate deficiency during pregnancy with an increased risk of schizophrenia among offspring. Earlier research by members of the MGH-based team found low blood folate levels were associated with the more severe, negative symptoms among patients with schizophrenia.
? Cause and Effect: How the Media You Consume Can Change Your Life Vermont may become first state with mandatory GMO food labeling laws ?